Using techniques never imagined when the last Tasmanian tiger died in the Hobart Zoo in the last century, scientists have sequenced the marsupial’s entire genome. 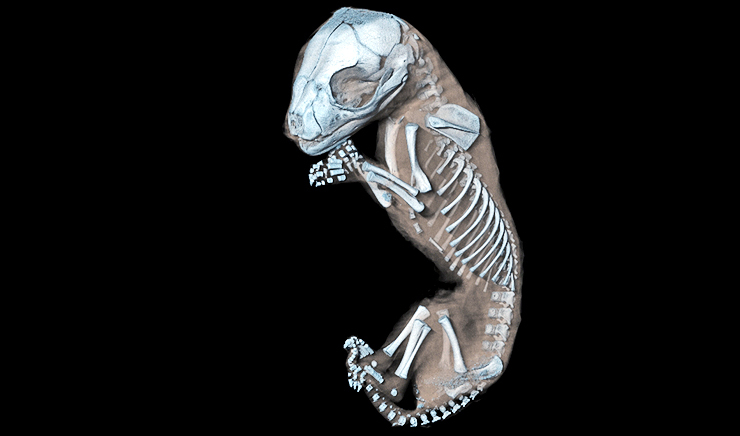 For Andrew Pask, associate professor in the School of Biosciences at the University of Melbourne, the Tasmanian tiger (also known as Thylacinus cynocephalus, or the thylacine) is a labor of love. Over 10 years ago, he and an international team first resurrected a Tasmanian tiger gene from a preserved pelt, but the DNA was too fragmented to obtain the whole genome. So, they searched museums’ world-wide databases and found specimen C5757 in Museums Victoria’s collection—a young thylacine pup. Because the Tasmanian tiger was a marsupial—a mammal with a pouch—the specimen could be preserved in its entirety, allowing researchers to extract DNA to sequence the thylacine genome. Pask says the results provide the first full genetic blueprint of the largest Australian apex predator to survive into the modern era. “The genome allows us to confirm the thylacine’s place in the evolutionary tree. 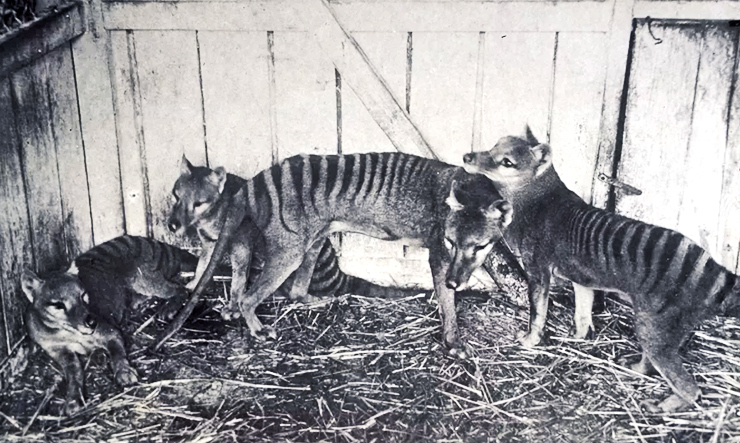 The Tasmanian tiger belongs in a sister lineage to the Dasyuridae, the family which includes the Tasmanian Devil and the dunnart,” Pask says. Importantly, the genome also reveals the poor genetic health, or low genetic diversity, the thylacine experienced before it was over-hunted. The Tasmanian Devil is now also facing a “genetic bottleneck” which is a likely result of their genetic isolation from mainland Australia for the last 10,000 to 13,000 years. The genome analysis suggests, however, that both animals were experiencing low genetic diversity before they became isolated on Tasmania. This, in turn, suggests that Tasmanian tigers may have faced similar environmental problems to the Devils, had they survived, such as a difficulty overcoming disease. “Our hope is that there is a lot the thylacine can tell us about the genetic basis of extinction to help other species,” Pask says. “As this genome is one of the most complete for an extinct species, it is technically the first step to ‘bringing the thylacine back,’ but we are still a long way off that possibility,” he says. “We would still need to develop a marsupial animal model to host the thylacine genome, like work conducted to include mammoth genes in the modern elephant. But knowing the Tasmanian tiger was facing limited genetic diversity before extinction means it would still have struggled similarly to the Tasmanian Devil if it had survived,” explains Pask. The genome provides other important new insights into the biology of this truly unique marsupial. It’s often described as a long dog with stripes, because it had a long, stiff tail and a big head. A fully grown thylacine could measure 180 cm from the tip of the nose to the tip of the tail and stand 58 cm high. Its thick black stripes extended from the shoulders to the base of the tail. Like the dingo, the thylacine was very quiet. But they were reported to be relentless hunters who pursued their prey until it was exhausted. Scientists consider the thylacine and the dingo as one of the best examples of “convergent evolution,” the process whereby organisms that are not closely related independently evolve to look the same as a result of having to adapt to similar environments or ecological niches. Researchers analyzed the characteristics of the thylacine’s skull—such as eye, jaw, and snout shape. “We found the Tasmanian tiger had a more similar skull shape to the red fox and gray wolf than to its closest relatives,” says Christy Hipsley from Museums Victoria. “The fact these groups have not shared a common ancestor since the Jurassic period makes this an astounding example of convergence between distantly related species,” Hipsley says. Pask says the thylacine looked almost like a dingo with a pouch. “When we looked at the basis for this convergent evolution, we found it wasn’t actually the genes that produced the same skull and body shape, but the control regions around them that turn genes ‘on and off’ at different stages of growth. The researchers describe their work in the journal Nature Ecology and Evolution. Other coauthors are from the University of Munster, Museums Victoria, the University of Adelaide, and the University of Connecticut. The Research @ Melbourne Accelerator Program provided funding for the work.